Cross between odora and bholua. Evergreen lanceolate leaves. 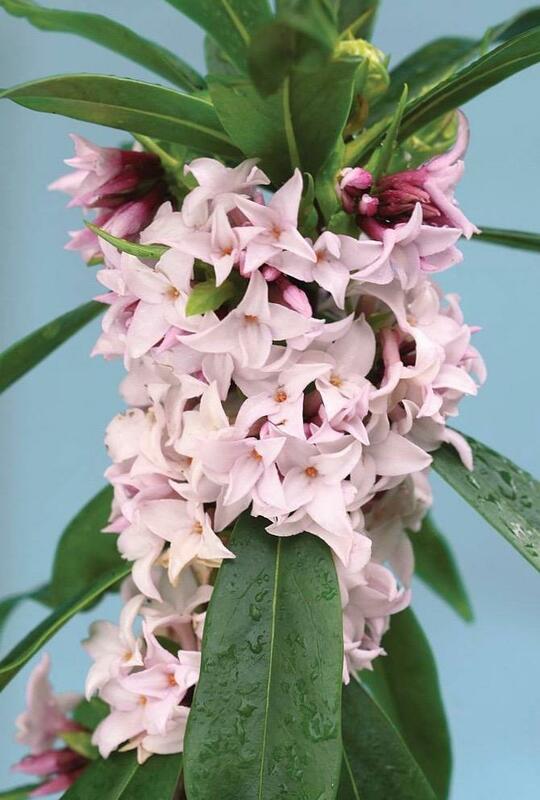 One of the best heavily perfumed soft pink flowers in dense clusters, March to April. Sun or semi shade. 1.2m tall. Prefers good soil. Toxic if eaten.